We were driving along the banks of Lake Nakuru on our last safari of this trip, when it dawned on us that we hadn’t seen a single cat in the Lake Nakuru National Park. Twenty minutes into the safari we hit a traffic jam. It was clear that a predator had been sighted; someone shouted out that Lions were spotted close to the safari road a little ahead. We joined the train of tourist vehicles to catch a glimpse of the Lion and after a couple of minutes of waiting for our turn, we spotted it. 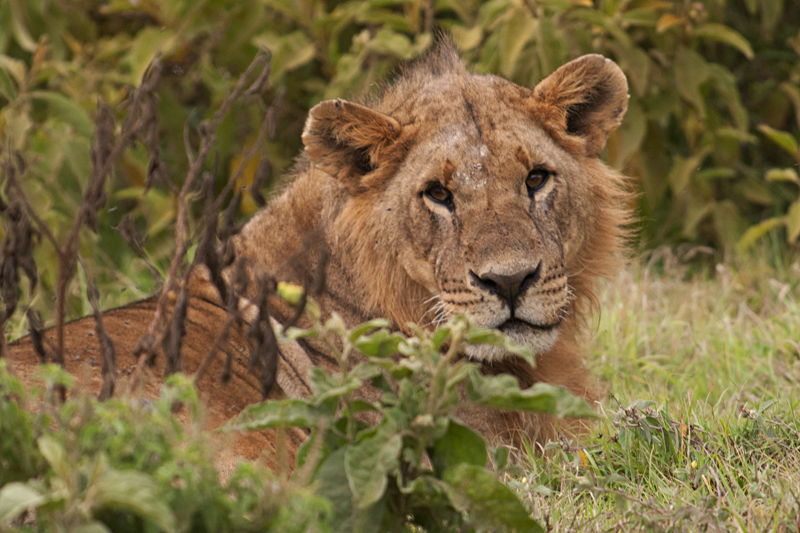 A sub adult African Lion was sitting amongst the bushes not far from the road. 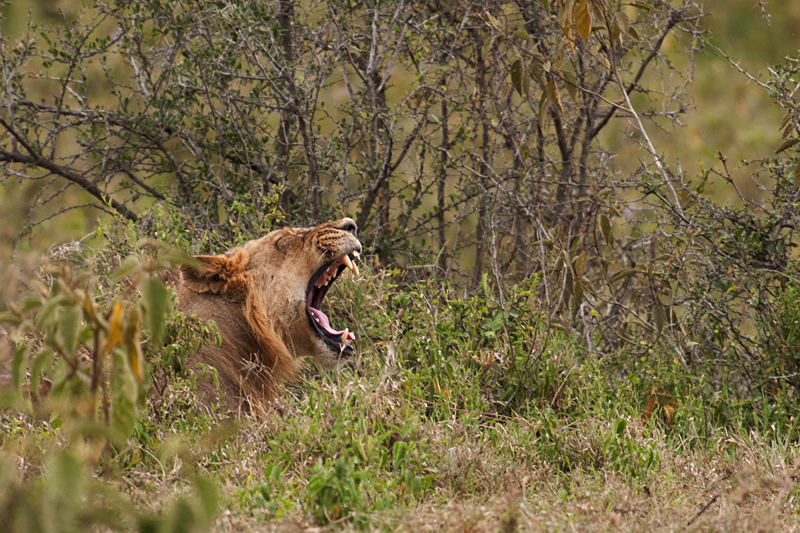 As we got a better view, the Lion woke up and we managed to freeze him as he yawned (below). As we were watching this Lion, there was some commotion amongst the tourists in the vehicles ahead, and then someone pointed out that they had spotted another Lion on the other side of the road. 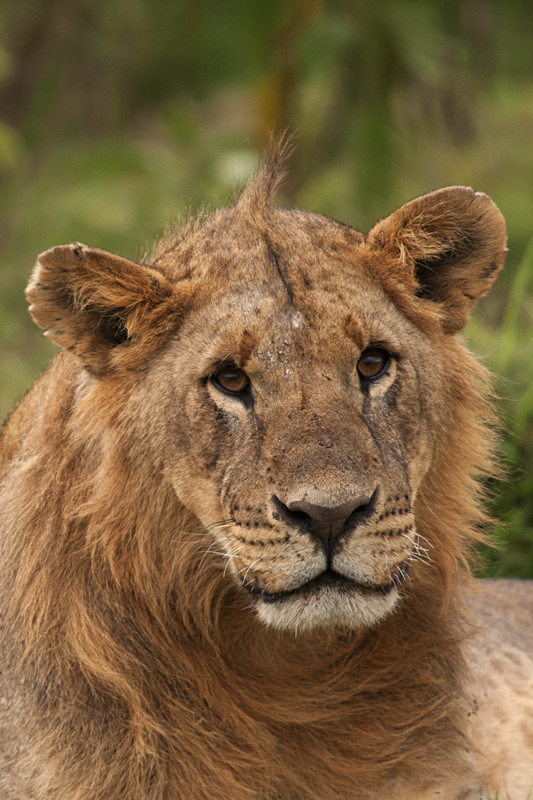 While the vehicles rushed to see the other Lion, we used the opportunity to get closer to this Lion and get a few portraits (above) of this majestic fellow. After a few minutes, this Lion decided to cross over to the other side of the road to meet his sibling. The other sibling was more than happy to see his brother. 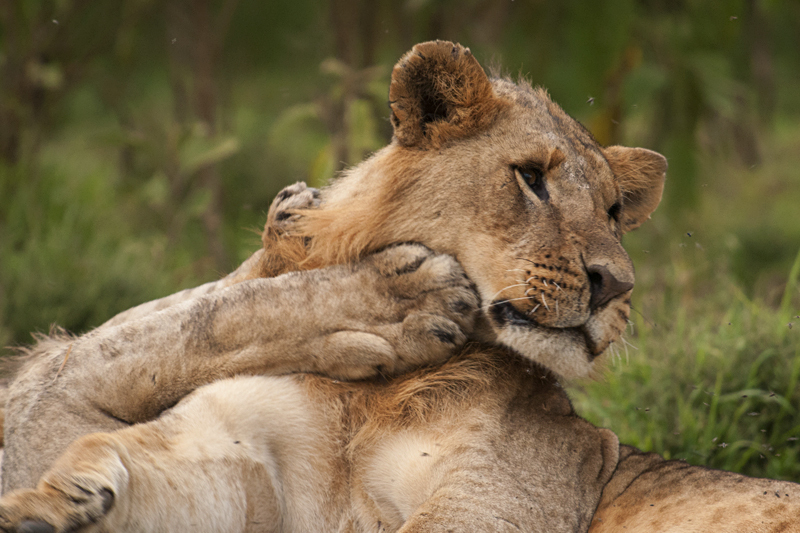 In the minutes following the meeting, we got to see some intimate moments (below) of Lion behavior that was pure joy. At one time, the brothers rolled over on their backside (above) and were rolling; sheer delight for a photographer. And somewhere in between all this, one of the siblings got interested in me and stopped to give me a curious glance (below) before returning to their play. The skies above Lake Nakuru were filled with tears or joy and a heavy downpour was eminent. 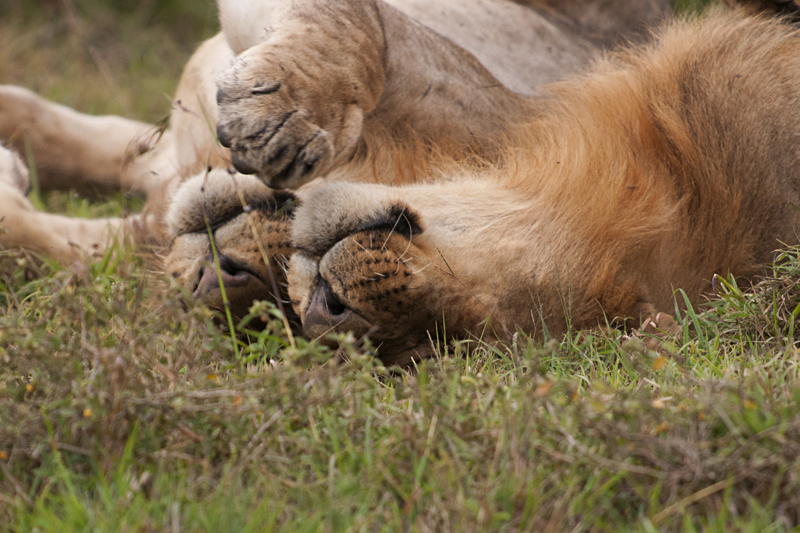 However the Lion brothers were engaged in their relentless play and gave us many photo ops like the one below. We used the best of these pictures to make the feature image of this post. Finally as it began to rain, the siblings retreated into the thick bushes, and disappeared from our sight. Absolutely amazing series of those majestic animals.